Atmos Energy workers found as many as 28 gas leaks in a single residential neighborhood in Dallas. The leaks potentially caused two small, separate house fires that residents reported, the company said in an email to Texas regulators. Twelve hours later, a house in the neighborhood exploded off its tracks, killing 12-year-old Linda “Michellita” Rogers. It took another three days for Atmos to evacuate the neighborhood’s 2,800 residents. The deadly explosion back in February is part of a disturbing pattern in Texas. Following the girl's death, officials and residents who pressed Atmos Energy for answers were told that it will take years to replace aging pipes. The company also refused to disclose where aging pipes are located in the city. A new analysis by the Dallas Morning News shows that over two dozen homes along Atmos’ path of pipelines have exploded in north and central Texas since 2006, leading to 9 deaths and 22 injuries. Atmos Energy is one of the largest natural gas providers in the United States and is headquartered in Dallas, where it has taken a particularly lax approach to pipeline safety. The federal government, since the 1970s, has warned that natural gas pipelines made from steel and cast iron pose an unacceptably high risk for explosion. Twenty states subsequently passed laws forcing natural gas operators to replace cast iron pipes. But such laws don’t exist in Texas -- the only state where Atmos has yet to replace its cast iron pipes. As of last year, 500 miles of cast iron pipes remain. Atmos Energy also admitted last year that a third of its pipes in Texas were installed before 1940. 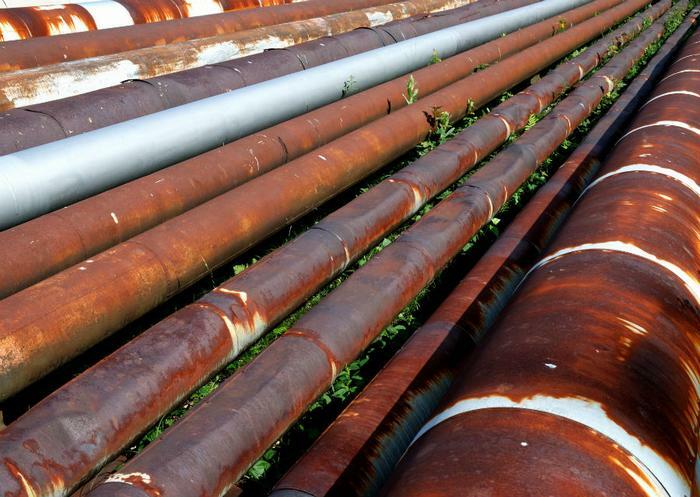 Atmos has repeatedly been cited in Texas for failing to protect its pipes from corrosion, failing to replace old parts, stalling on evacuations or taking other steps to keep residents out of harm’s way. Yet the company has also refused to admit fault in any of the explosions along its network of pipelines, according to government records reviewed by the News. Consumers who suspect a gas leak are normally advised to leave the area immediately and call 911. But following that protocol didn’t help affected people in Texas. On December 31 last year, one man called 911 to report a suspected gas leak in his home in Irving, a suburb of Dallas. Crews began repairing the leak and investigating the rest of the neighborhood. They told neighbor Magdalene Tijerina that it wasn’t necessary to evacuate. Early the next morning, she awoke to see her ceiling on fire and fled with her family. They escaped the explosion unharmed. Atmos was fined $16,000 by the state. The company defended its safety record in statements to the News. But as the paper notes, Atmos is also raising its rates next year. Documents obtained by the paper show that Atmos is trying to recover $600,000 that its insurer is charging annually due to the previous explosions.